If you want to play Paintball in Essex, Mayhem paintball is less than 45 minutes drive from the centre of Braintree, you can either come down the M11 or though the country lanes and we are near Ongar. Mayhem Paintballing has over 15 different playing areas; from our Urban playing field which is Flood lit and 70 percent under cover ideal if its raining with Cars, Hay Barns its a completely unique Paintball experience we also have our Tank Convoy field with real tanks, planes, and much more. 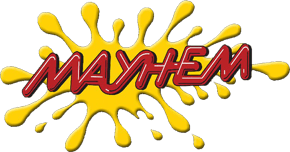 Mayhem Paintballing has been chosen for TV, shows such as TOWIE, Eastenders, Music videos and is regarded as the UK's best venue. Check out our scenario page and you can see how fantastic our playing fields are we even have crashed aeroplanes, 2 anti-aircraft guns, real Battle TANKs, army vehicles and armoured personal carriers. I would recommend visiting Mayhem Essex and having a look and see we offer the very best in equipment, Call of Duty style Maps, facilities. Mayhem has been accredited by the UKPSF (the Paintball governing body in the UK). For Braintree paintballing, come to Mayhem and you will have a day to remmember for more For more information on Paintball in Essex you can call us on 1708688517 or Email us.